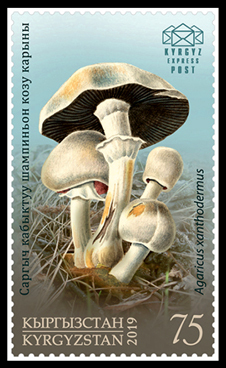 ..:: The postage stamps of Kyrgyzstan 2019 ::.. 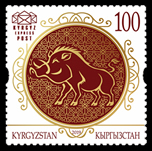 The State Committee of Information Technologies and Communications of Kyrgyz Republic, according to the order No.5-a, dated 17 January 2019, introduced a postage stamp on “New Year on the Eastern calendar – Year of the Pig” theme. 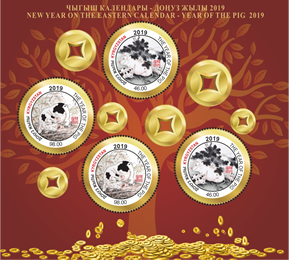 Earth yellow pig (boar) – symbol of the New Year 2019 on the Chinese calendar.